The Northampton Tennis Director, Friday Otabor, is a former Texas Association of Tennis Professionals touring pro and formerly held the #3 ranking in men’s thirty singles in Texas. Friday was also a former member of the Nigeria Davis Cup team. With over 20 years of teaching experience, Friday has taught and currently teaches top-level adult and junior programs. Friday Otabor is a USPTA Certified Instructor. For information about the tennis programs offered, please contact Friday Otabor at 281-300-0304. Northampton residents receive their first lesson free! Friday offers tennis lessons for all ages and abilities during the day, evenings and Saturdays. Private and group lessons are available in addition to drop-in drills. Please contact Friday at the pro shop, 832-717-3611. All league play is coordinated by the Tennis Director. Ladies League – Northampton provides league play opportunity for all abilities. Leagues include fall and spring, evening, weekday, and summer teams. Men’s League – Teams are organized in the fall and the spring for men of various skill levels. These teams play one night each week for about 8 weeks in the fall and then again in spring. 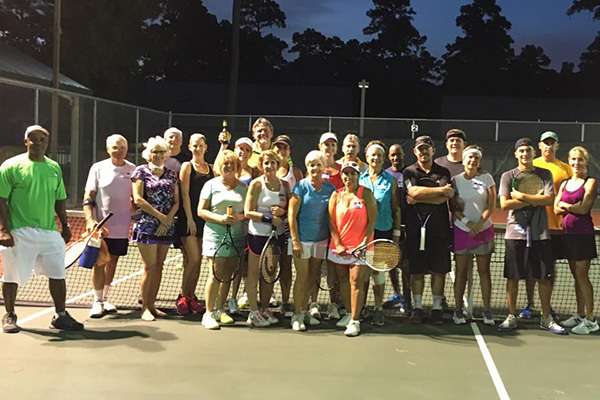 Several tennis activities and socials are planned throughout the year including Saturday Night Mixers and Saturday Mini Tournaments. These activities are designed for all levels of ability. The only requirement is to have fun! Our certified instructors offer group and individual lessons for children from 5+ years of age and all skill levels. They coach every player on proper techniques and skills. From beginner to advanced, we provide instruction for fun or competition. 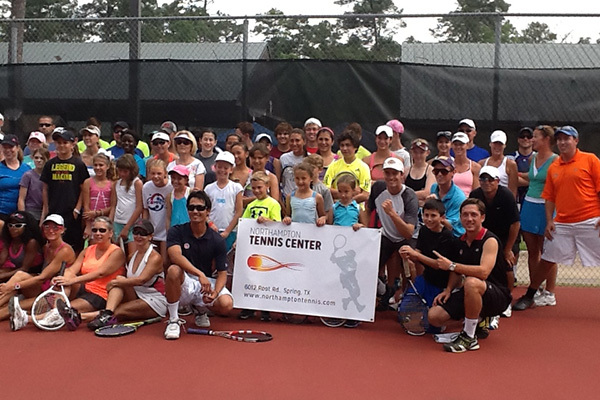 Summer Tennis Camp – Learn tennis! Swim time! Fun activities! Full or half day. For beginner and intermediate level, come for a week of fun. For more information please visit Spring Tennis Academy at Northampton.